Frederic Moyersoen: What's inside the box? How to sell a game concept? 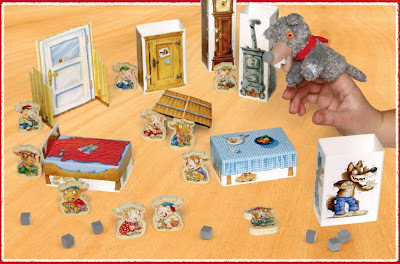 You get 7 furniture pieces in cardboard, 1 Wolf box, 1 Wolf finger puppet, 31 wooden cubes and 11 cute wooden little goats.